A strategy for teaching a character trait each month of the teaching year. Teaching ideas for teaching about character. 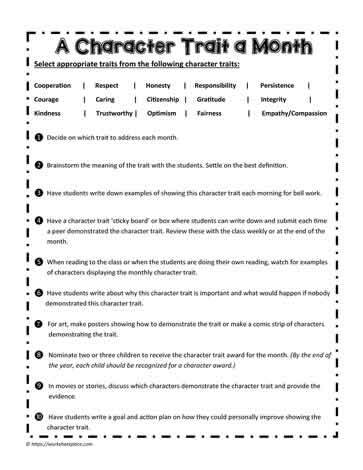 Character education teaching unit.